Patient came in with a large abscess in his front tooth. He fell and broke the tooth when he was a really young boy (8 years old). His dentist at the time did the best that he could do, but the tooth was immature and the end of the root was wide open. 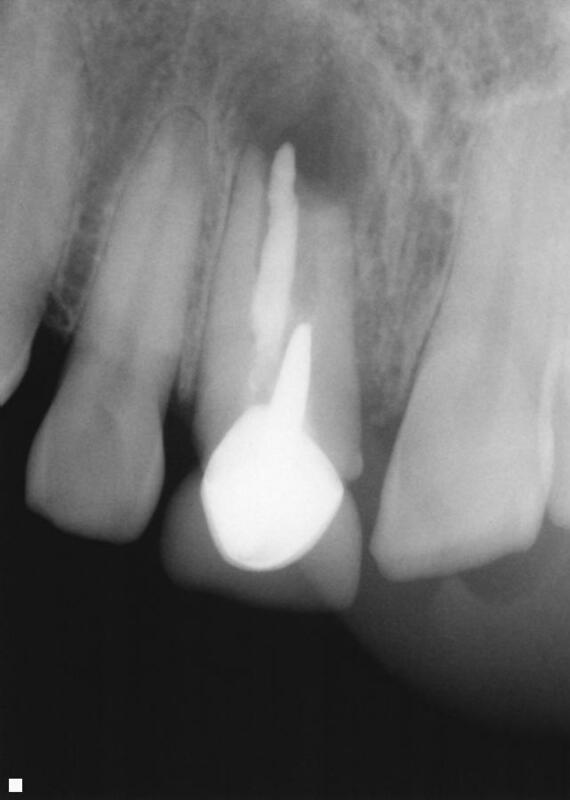 The root canal failed to seal the end of the tooth properly allowing bacteria to live in and around the root end leading to the current abscess. To properly get rid of the infection, the tooth first needed root canal retreatment and follow up with root end surgery (apicoectomy) 3 months after to properly seal the end of the root. 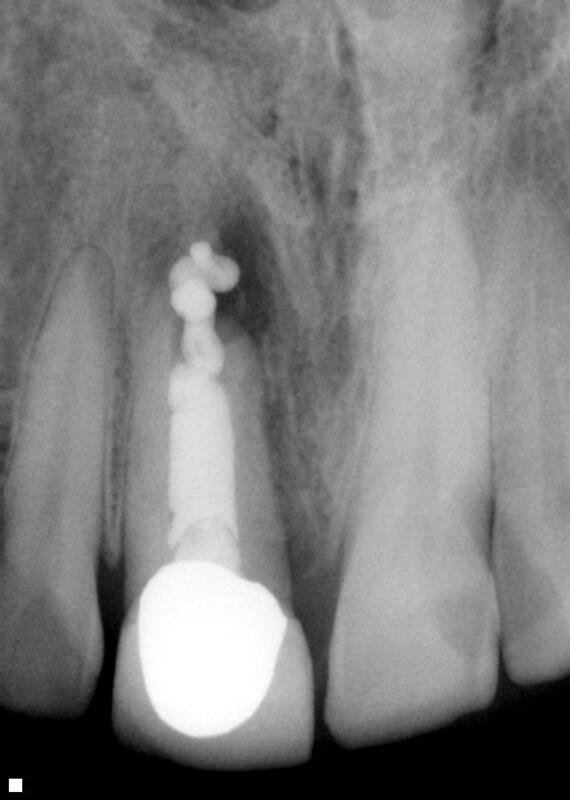 Shows large abscess at the end of the root. 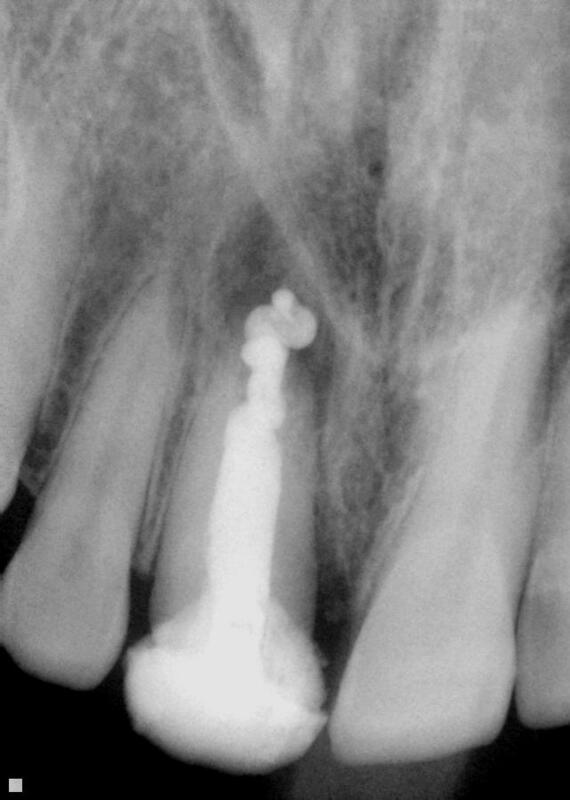 Previous root canal failed to properly seal the canal because it was too large due to immaturity. 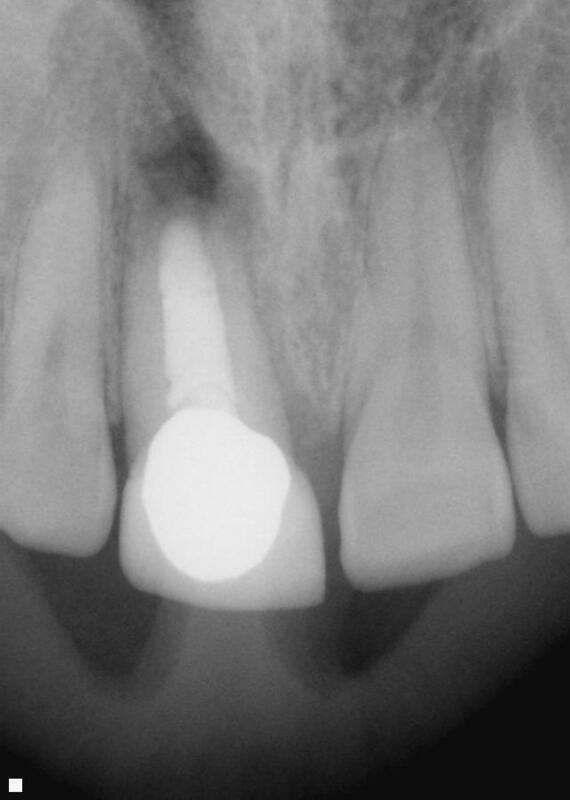 The post and crown needed to be removed and the root canal redone (Retreatment). The root canal retreatment was a success in that the entire canal was properly cleaned and filled. However, because the root end was wide open some filler got extruded out. After 3 months, the abscess is gone and the bone around the root end is healing up. The patient got a new crown. However, some darkness remained and the filler extrusion still need to be removed and the root end sealed surgically. The root end resection surgery (Apicoectomy) cleaned out the rest of the infection and the extruded filler from around the root end. The root end is also sealed with a special material that will keep bacteria away from the area and the infection from coming back. The bone around the root end will heal completely in another 3 months.